Joseph Izzi, Jr., M.D. is an orthopedic surgeon specializing in the treatment of injuries and musculoskeletal conditions related to the hand, wrist, elbow and shoulder. Specifically, Dr. Izzi will treat carpal tunnel syndrome, wrist fractures, and fractures of the hand and upper extremity and peripheral nerve injuries. 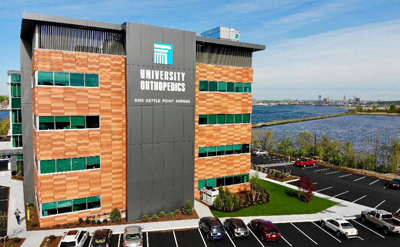 Dr. Izzi started practice in Rhode Island in 2003, and practiced concurrently at Tufts Medical Center in Boston, where he also served as assistant professor of orthopedics at Tufts University School of Medicine. He is certified by the American Board of Orthopedic Surgery and holds a Subspecialty Certificate in Surgery of Hand. Dr. Izzi graduated from Boston University School of Medicine and completed his orthopedic surgery residency at Rhode Island Hospital.